What Makes Donating Online Secure? We’ve processed millions in dollars for nonprofits without a hitch, and it’s completely safe. We use SSL and PCI compliant technology to keep your information safe on all our campaign sites and donation forms. In addition, when you donate, the recipient won’t receive sensitive financial information like your credit card or bank account number. This way, your data is always kept safe. 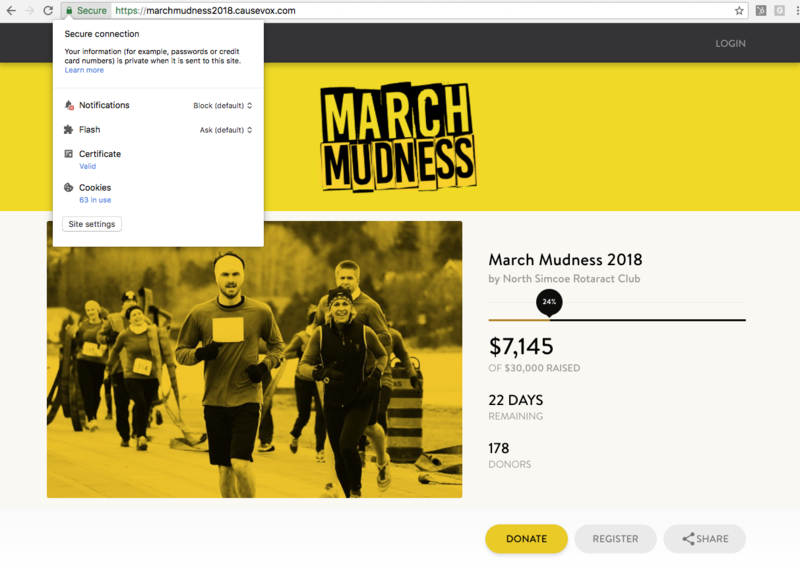 Our fundraising sites and donation processing form (the donate box that pops up) is secured at 256-bit-SSL, the highest level of security possible. 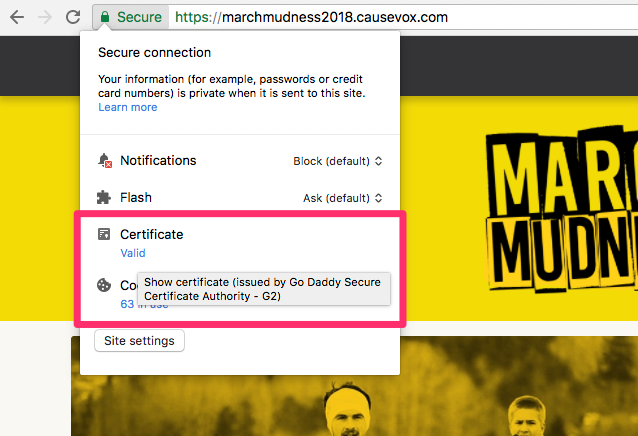 For example, both our campaign sites and our donation form display the “https” in the address bar with the lock indicating that it’s secure. Step 1: Click on the "lock" in the address bar. 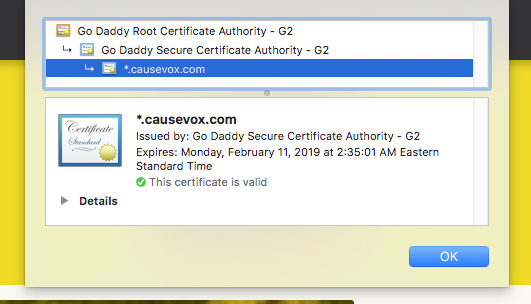 Step 2: Click on "Valid" Under Certificate. Step 3: View SSL certification. For more information of checking if a site is secure, we recommend reading this Google Chrome support article. You can also do the same process on the donation page to ensure the donate page is secure as well. Try this on your own browser by first clicking the donate button, then click the lock icon in the address bar and valid. 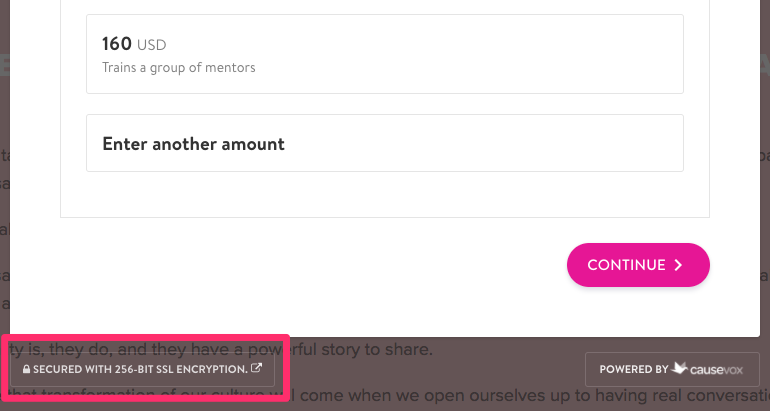 For donation pages embedded on a website, we note the level of security and have the option available for donors to open the donation page in a new tab to check security for themselves. Our formal EU-US privacy shield certification has been approved and is currently in place! This showcases our commitment to data privacy across borders. You can view our privacy shield here. 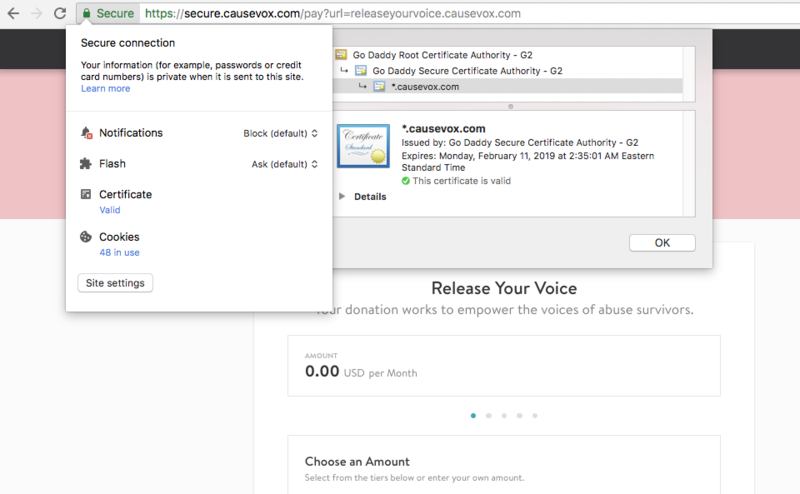 Have more questions about donating on CauseVox? Check out Donation FAQ.